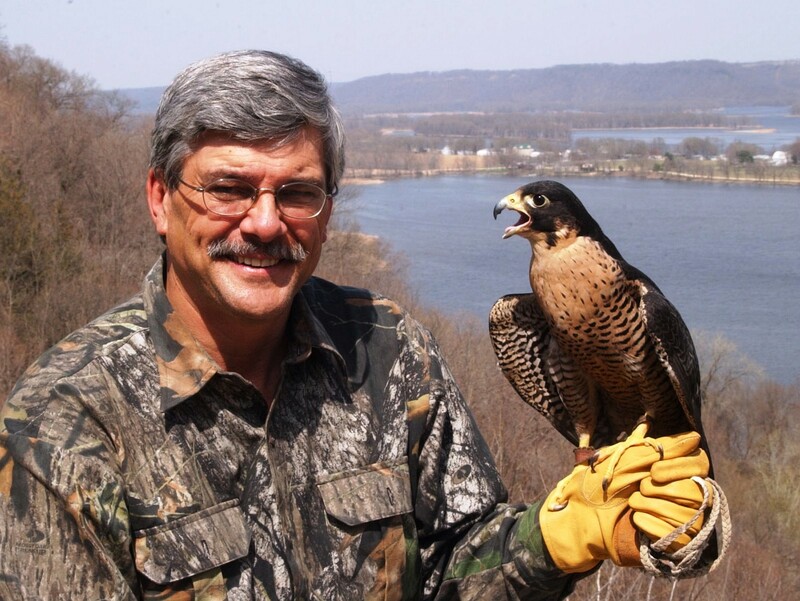 For Iowa hunting enthusiasts, the Labor Day weekend is a big time, nonstop, action-packed event. The 2017 dove season began September 1st, and although large numbers of doves had already migrated out of the state, most of Iowa’s 10,000 participants appear to have enjoyed anywhere from good to somewhere beyond excellent success. Saturday, September 2, was a bigger day yet as hunters traded weed patches and dove plots for duck ponds and marshes to participate in an experimental, federally sanctioned special teal season. 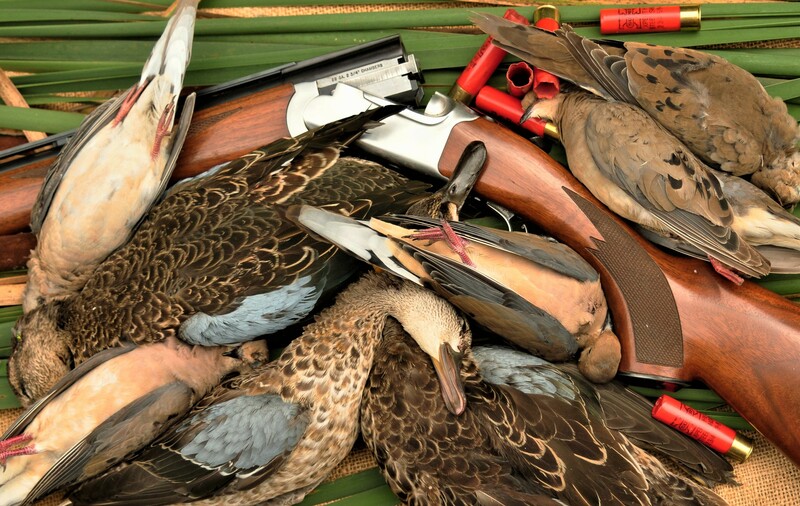 This was the fourth consecutive year for Iowa’s early, teal-only duck hunt. According to state conservation officers, this year’s opener appears to have matched hunter expectations. Blue-winged teal were plentiful, hunter turnout was exceptionally strong and hunter success rates were high. DNR officers think this may have been the state’s best September teal opener yet. There’s a lot to like about Iowa’s early teal season. The September weather is near ideal – cool at sunrise; warm in the afternoon. Hardly anyone is going to complain about that, especially those youngsters gaining first time experiences in the great out-of-doors and to the time-honored art of waterfowling. There’s always plenty to see during early fall — like the muskrat that came so close this morning I could see it blink its eye, or the flock of a dozen or so greater yellowlegs that did a flyby while lighting up the marsh with their melodious whistling, or the wood ducks that came swimming out of the cattails to inspect my decoys – some coming within 6 or 8 feet without ever knowing I was there. Perhaps the best viewing of all came when a pair of stunningly majestic American egrets came gliding in and gracefully landed in 8-inches of water — smack in the middle of my teal decoys. Although I’ve often had the elegant birds land nearby, this was the first time I’ve actually had them touch down in the decoys. Within a minute of landing, one of the egrets deftly speared a small fish and then swallowed the meal, head first, in a single gulp. But Iowa’s teal seasons are, of course, all about the ducks. 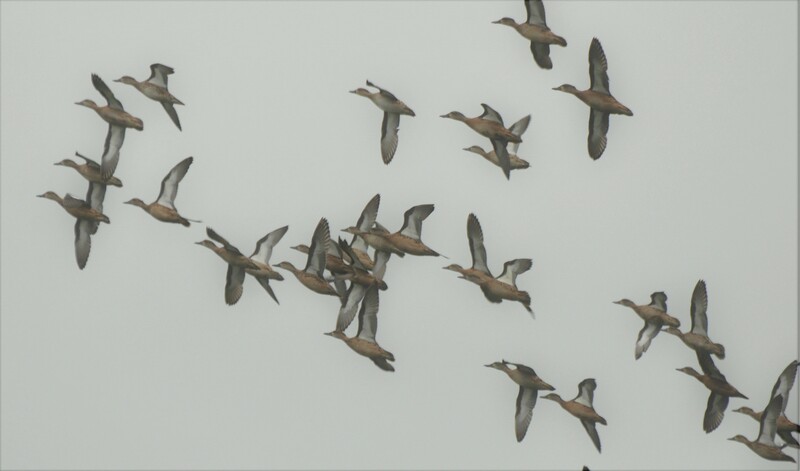 The earliest waterfowl species to depart the northern nesting grounds, blue-winged teal move hard and fast down the flyways. Exactly how hard and fast was dramatically demonstrated by a group of teal captured and banded several years ago by the DNR’s, Jerry Anderson. The bandings occurred just of few hundred yards from where I’m sitting right now. Within weeks of being banded and released, three of those teal were bagged and reported by hunters. The recoveries were amazing. The first duck was shot near Old Harbor, Jamaica. A second blue-wing was bagged near Iztapa, Guatemala by a local doctor enjoying a long lunch break. The third teal was reported from Ontario, Canada. That duck had apparently decided to cruise a few hundred miles into the northern lake country before turning around again and heading for South America. No one can argue that the blue-winged teal is an amazing long-distance traveler. Mild, flavorful and nutritious, properly prepared teal provide hunters with unsurpassed table fare. And although blue-wings are more willing to pile into a spread of decoys than any other species, their incredible speed makes them a challenge to bag. 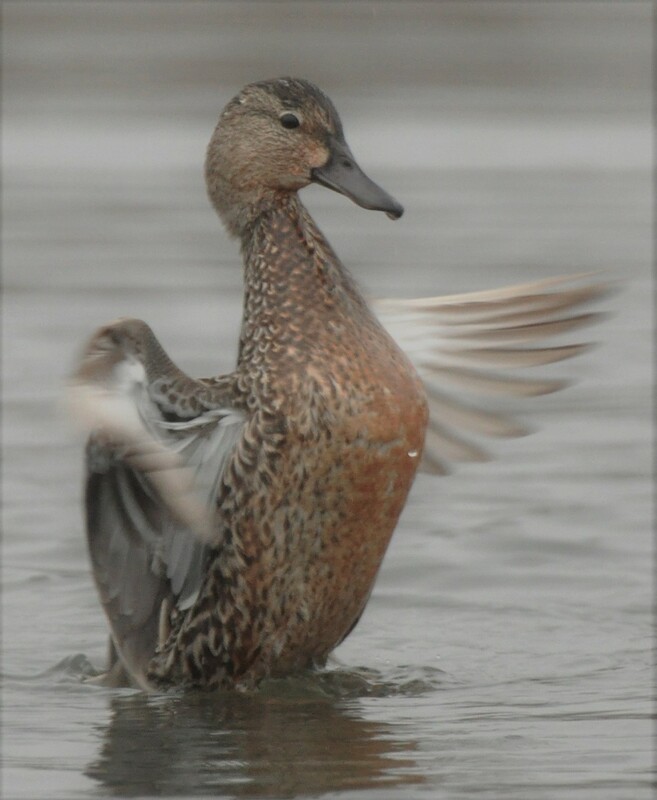 In the Mississippi Flyway, blue-winged teal are usually the first duck successfully bagged by beginning hunters. I was no exception to that rule. Upon bagging my first limit of teal during the late 1950s, I immediately fell in love with the species. More than a half century later, I’ve grown to love them even more. Today’s hunt offered a great reminder of why I think teal are so incredibly cool. It was several minutes past sunrise when I spotted a distant flock of blue-wings rapidly moving across the landscape. From where I sat, the birds more resembled a tightly packed swarm of bees than they did a bunch of ducks. When the high-flying migrants had arrived directly over the marsh, they suddenly executed a warp speed, choreographed nosedive toward the water. The group easily contained 70 teal, maybe more. It was by far the largest single flock I’ve seen this fall. The sight of all those birds moving in perfect unison was nothing short of an aerial ballet. Even more spectacular was the sound. Try to imagine how it would sound if a jet fighter passed directly overhead. That’s the closest I can come to describing the roar of those descending wings. 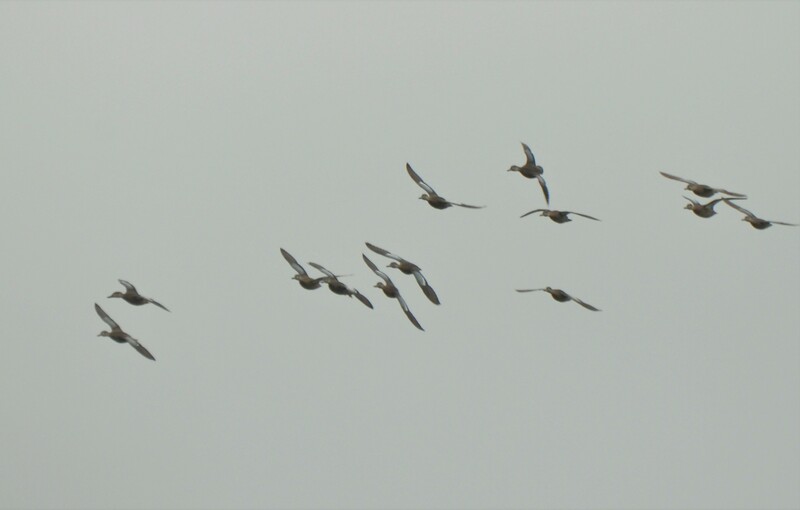 Suddenly pulling out of their dive, the teal leveled off and came roaring down the marsh. Spotting my decoys, they immediately turned and headed directly toward the blind. 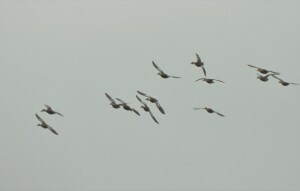 Within seconds, the ducks were passing directly over the spread – on the deck and still traveling at the speed of sound. 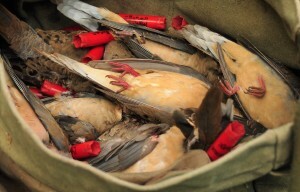 Shouldering the 28-gauge, I tried to swing with the flock and somehow managed to fold a bird with each barrel. Although blue-winged teal will never rank as the world’s smartest birds, even they can take a hint like that. The flock immediately regained altitude and quickly disappeared to the south. Hard to tell which development was more astonishing – the fact that that distant high- flying band of migrating ducks had ended up making a low -level pass directly over my decoys; or the fact that I had resisted the urge to flock shoot and had concentrated on two individual birds. Either way, things like that don’t happen every day – at least not to me. I’m guessing that long after they’ve reached their subtropical destination, I’ll still be thinking about that giant, southbound flock of blue-winged teal.